AdExchanger presented their Industry Preview last week, where esteemed members of the technology community were able to share their thoughts on how they believe technology will progress throughout the next 12 months. In a session titled “A Look Ahead with Facebook,” Carolyn Everson, the Facebook vice president of global marketing solutions, spoke on the recent changes to the site’s news feed algorithm. As I wrote in my previous post, Mark Zuckerberg announced in early January that the news feed would be changing to prioritize posts from family and friends, which as you might suppose made advertisers a bit uncomfortable. Everson’s talk sought to ease marketers’ worries by explaining that brand messaging can often qualify as “meaningful interactions,” the very type of interaction that this latest news feed shake-up is meant to drive. As Everson said, meaningful interactions are defined by Facebook as “content that elicits a positive reaction from people.” Seeing as people often have positive reactions to finding a new product or service that they believe they would find enjoyable or useful in some way, it makes sense that this would pass as a meaningful interaction in some cases. After reassuring brands that “the ad game isn’t going to change,” Everson also clarified that the price an advertiser pays will still directly correlate to the relevancy of their ad to the target. 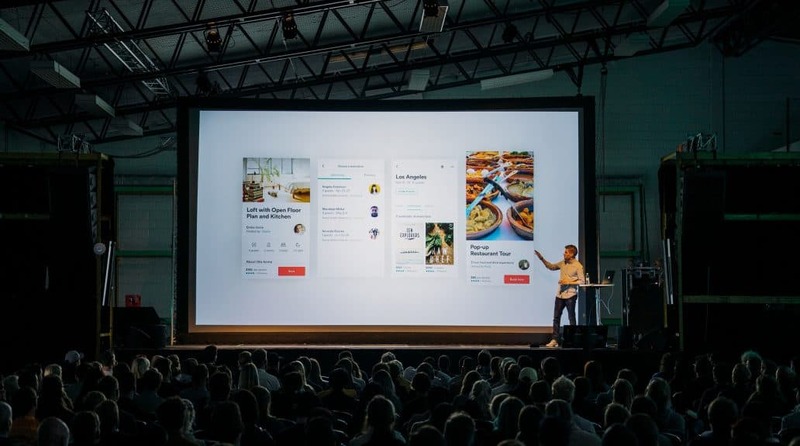 The major takeaway from this talk is that advertisers had nothing to fear from the new algorithm, as long as they are willing to put in the work to generate resonant content that inspires meaningful interactions and responses from its viewers. The next day, another memorable discussion was led by Jo Ann Ross, the president and chief advertising revenue officer of CBS. In a fireside chat called “Eye on CBS,” Ross shared her view that not only will Netflix will need to include ads on their streaming service sometime in the future, but that more networks will decrease the number of advertisements they run. In regards to her first point, Ross believes that Netflix spends too much money on content to generate a profit solely through subscribers. As for the latter, CBS’s streaming service CBS All Access already allows users to sit through 20 percent fewer commercials than on their standard channel. Interestingly, Ross also pointed out that the number of users who choose the version of the CBS streaming service that enables advertisements outnumbers the ones who pay so that they don’t have to watch any ads. These are just a few of the industry insights shared by thought leaders at the 2018 conference, but from these alone I can tell it’s going to be an exciting year for technology and business. Next year’s conference is scheduled for January 23-24, 2019. To read more about this year’s Industry Preview, visit AdExchanger’s website. Previous Article Previous post: Will 2018 Be The Year Social Media Changes for the Better?